Introducing the Newport Hydro sandal featuring a new quick-dry lining for all-adventure comfort. It all started 15 years ago, when we asked, "Can a sandal protect your toes?" 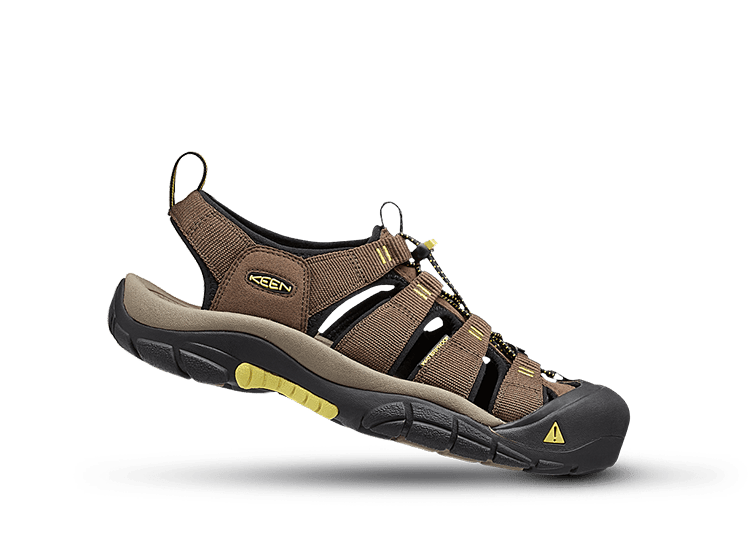 Now iconic, the Newport sandal has fueled adventures, connected communities, and inspired people of all ages, genders, races, and capabilities to get outside. We’re honoring this globally recognized symbol of outdoor fun with updated materials and looks. 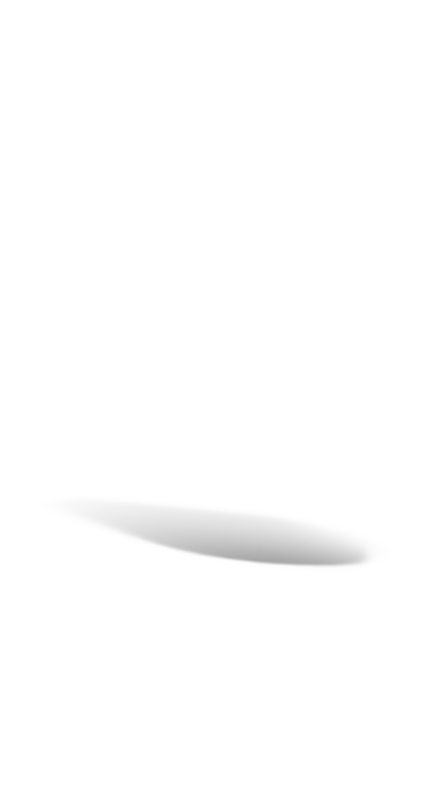 Same iconic design, many new epic adventures to be had. 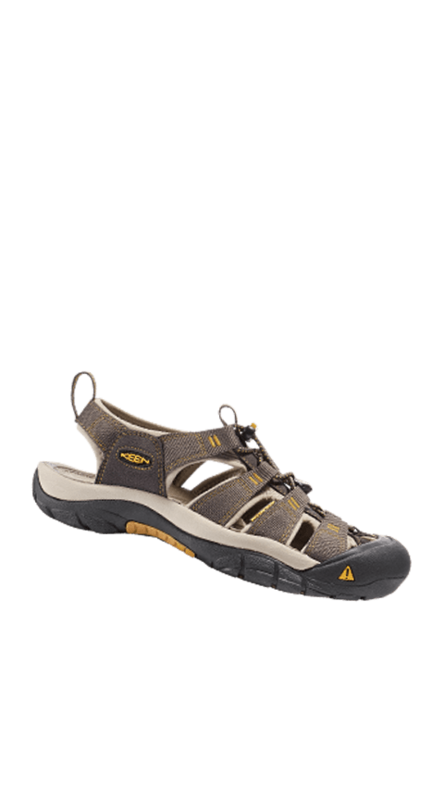 The Newport sandal is the original adventure sandal for outdoor exploration and fun. It thrives in both wet and dry conditions, and protects your toes in a way that traditional sandals just can’t. 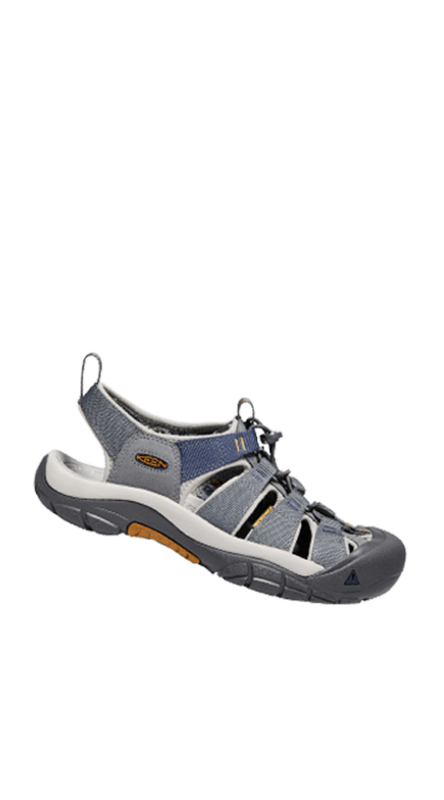 A durable rubber cover keeps the air flowing without exposing your toes to rocks and debris. The bungee lacing system makes it easy to adjust and lock in the fit, on land or under water. Thin slits in the sole flex open with every step for grip on wet, slippery surfaces. and where you’ve been in your Newports. Our latest collection features this fun pattern in the lining, celebrating you and the places you play. Newport is made for those with an adventurous spirit. 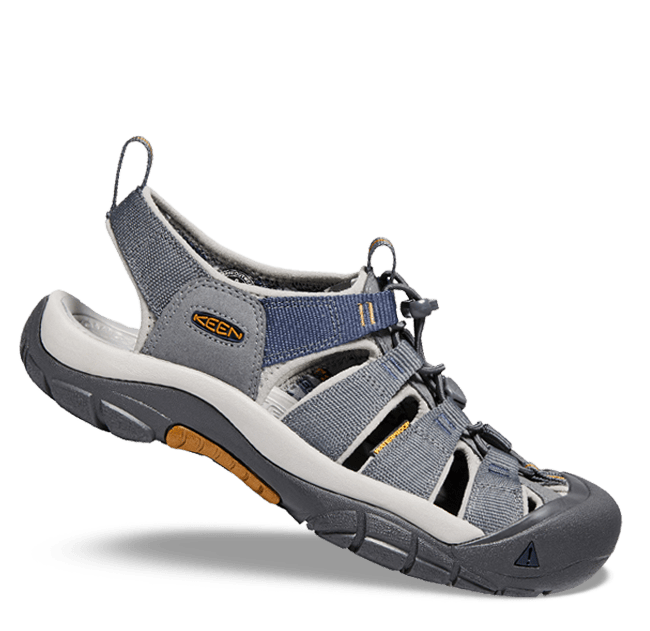 Part water sandal, part hiker, it jumps into every activity with unrivaled protection, all-around performance, and tried-and-true comfort. The washable Newport Hydro features PFC-free water repellent and a quick-dry lining to jump into warm-weather fun. The Newport H2 outsole offers enhanced grip on all terrain plus a practical toe bumper up front. The Newport Hemp natural upper brings an earthy vibe that works with everything in your suitcase. Waterproof, salt-resistant leather panels plus a quick-dry lining make the Newport Eco sandal a great boating choice. Share a throwback of your favorite Newport adventure. Use #KEENnewport for a chance to be featured.